My educational background is in Social Psychology (PhD), Occupational Therapy, and Physical Therapy. Much of my research has focused on quality of life and related issues (e.g., engagement in occupations, community, and society) for individuals with disability, from childhood through older adulthood. My research has also included attention to quality of life for families that include family members with disability and community quality of life. I am currently the Director of the Quality of Life Research Unit (QOLRU) in the Department of Occupational Science and Occupational Therapy. The activities of the QOLRU are qualitative and quantitative research, dissemination of information about the research conducted (including the conceptual models and measurement instruments developed through its research), and research consultation and education focused on issues related to quality of life. My most recent research employs qualitative video methods to understand perspectives and experiences of children with intellectual/developmental disability about their own quality of life as well as those of youths with intellectual/developmental disability concerning their friendships and engagement in community life. In addition, I am engaged in participatory research with adults with intellectual/developmental disabilities concerning media representations of people with intellectual/developmental disability and their meaningful engagement (or not) in community and society. Names of students are underlined. Renwick, R. (2013). Quality of life for young people with neurological and developmental conditions: Issues and challenges. In G. Ronen & P. Rosenbaum (Eds.). Life quality outcomes for young people with neurological and developmental conditions (pp. 22-35). London: Taylor & Francis. Popowich, A., Renwick, R., & Yoshida, K. (2011). Body image and self-concept of men with acquired spinal cord injuries. American Journal of Men’s Health , 5(4), 306-317. Renwick, R., Salter, R., King, S., & Read, S. (2011). Children with HIV and their families. Developmental disabilities in Ontario (3rd edition) (Chapter 20). Toronto, ON: Ontario Association on Developmental Disabilities. (Focus of publication is children with HIV who have intellectual/developmental disability and their families, especially issues related to quality of life). Weitzner, E., Malmstein, S., Wiese, S., Dion, A., Roussos, Z., Renwick, R., & Yoshida, K. (2011). Getting on with life: Positive experiences of living with spinal cord injuries. Qualitative Health Research., 21(11), 455-468. Yani Hamdani, PhD. Candidate. Primary Supervisor. Health and Behavioural Science Program, Dalla Lana School of Public Health, University of Toronto. “Public policy affecting youths with childhood onset disabilities transitioning to adulthood” (in progress). CIHR Fellowship in Public Health Science Policy (3 years of funding). Margot McClain-Klein, PhD Candidate. Primary Supervisor . Graduate Department of Rehabilitation Science. “Youths with disabilities: Use of computers and virtual social networks” (in progress). 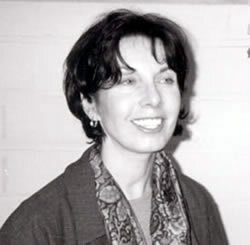 Beth Ellen Rossen. Ph.D. Candidate. Primary Supervisor. Health and Behavioural Science Program, Dalla Lana School of Public Health, University of Toronto. “Health information seeking by young adults with disabilities” (in progress). Samantha Cheung and Jessica Ngui-Yen, MScOT Students, Primary Supervisor. “Lived experiences of age-related vision loss: Negotiating support from others while maintaining acceptable self-identity and social identity”. Department of Occupational Science and Occupational Therapy, University of Toronto (in progress). Stephanie Hadi and Kara Mendowitz. MScOT Students, Primary Supervisor. “Mental health issues for people living with acquired spinal cord injury.” Department of Occupational Science and Occupational Therapy, University of Toronto (completed, 2012). Prize winners, Best Research Poster, Thelma Cardwell Research Day and Symposium, 2012. Sorin Uta and Leslie Mcwilliam, MScOT Students, Primary Supervisor. “Interpretations of cinematic representations of intellectual disability by adults with intellectual disabilities”. Department of Occupational Science and Occupational Therapy, University of Toronto (completed, 2012). Renwick, R., & Fudge Schormans, A. Using a co-researcher model to explore cinematic stories about IDD. Qualitative Analysis (Qualitatives) Conference 2013. Ottawa, Ontario, May, 2013. Mendlowitz, K., Hadi, S., Renwick, R., & Fudge Schormans, A. Exploring mental health experiences of adults with spinal cord injuries. Canadian Association of Occupational Therapists Conference 2013. Victoria, British Columbia, June, 2013. Renwick, R. & Fudge Schormans, A.. Film representations of intellectual disability: What do adults with intellectual disabilities think? Annual conference of the Canadian Society of Occupational Scientists, Edmonton, Alberta, May, 2012. Renwick, R., & Fudge Schormans, A. Illuminating children’s perspectives on their own quality of life using video methods. Conference of the International Society of Quality of Life Studies, Halifax, Nova Scotia, July 2012. Renwick, R., & Fudge Schormans, A. Perspectives of children with disabilities: Their engagement in occupation and quality of life. The XV World Federation of Occupational Therapists, Santiago, Chile, May, 2010. Renwick, R. Conceptualizing quality of life for children with disabilities. Quality of Life in Childhood Onset Conditions and Disorders. Niagara on the Lake, Ontario, Canada, 2009. (Invited speaker; International conference).